Menehunes had to overcome a size match up difference. However they fought hard and had the lead for a short while before the Central Cal Cobras took over. It was a neck to neck game. Each team had there chances to win. At the end of the game Menhunes had a chance to tie with a missed 3point shot. This game was the championship game of the tournament. It was just unfortunate that Menehunes had to face the Central Cal Cobras in the first round. Central Cal Cobras were an experienced team in this tournament and showed why they are the defending champions for the Men's A-Gold Division. Menehunes will have another chance at them in there Central Cal Cobra Tournament later in June 18-19, weekend if they do match up. Menehunes goes into the consolation bracket after there hard fought loss. Menehunes came back with some vengeance on Day 2, by winning in a blowout to the FOR Magic. Menehunes shot the 3 point shot well and were running on full steam! It was more of a statement game then anything. It was great team basketball and everyone got involved. Pierre Recinto lead the way by making 5-3point shots for the game, Richard Tang made 2-3point shots, Ryan Lee made 2-3point shots, and even Phillip made 2-3point shots for the game. Sean Yu and Bryant played well inside making layups. Reuben Medina made some drives, while Marc Factora played very physical in the paint. But it was Hon Trieu who runs the show by getting everyone involved. What an exciting game, both team were once again neck to neck all the way. Evergreen SGV made a shot with 2.8seconds left on the clock and Menehunes . Drew up a play that almost that lead to two foul shots. Menehunes missed the first one of two shots and had to intentionality miss the second one. All and all this tournament was a learning experience. It was very unfortunate the Menehunes were drawn up with the defending champions for the previous year and the Evergreen SGV, which seems to have been the next best team. 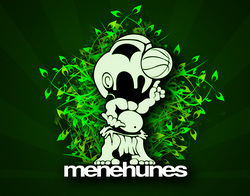 Menehunes need to regroup and come back stronger next year for the Tigers 2012 tournament! Thank you all to the supporters of Menehune Basketball. Special shout out to Orlando and Debbie Vengco and there little boys. Thank you for coming out to support the Menehunes. Those two boys are the future of Menehune Basketball! Mahalo and Ahuiho! This year the Menehunes are entering the next highest division (Mens A-Gold). They return the same lineup as last year. The Tigers tournament welcomes them to the next highest division by matching up the Menehunes against the defending champions(Mens A-Gold) Central Cal Cobras. Central Cal Cobras went last year winning 4 championships in various Asian Tournaments. They are a well experienced team that played together for quite sometime now. This game is the opening game for the tournament and tip off is at 1pm, Saturday May 28, 2011 on court #2 at Pasadena City College. The Tigers Tournament is an eight team format, you need to win to advance on. Lets see if we can bring it again this year! Lets go Menehunes! Pasadena City College, parking is enforced $2 a car! Please remember to buy a ticket!! What happened to Taiwan Center? Its simple, NO Billy Hofman. Taiwan Center is known to put up 85+ points per a game. Billy Hofman is recovering from a very badly sprained ankle. Taiwan Center just had a hard time function without Billy out there. The game got out of hand in the first 10 minutes when the reffs ejected Matt Rosser from the game. Matt did nothing wrong, the opposing team player came and approached Matt and Matt got thrown out?? What was up with that? Jimmy Miyasaka coundnt get going and he also fouled out. J.R. also fouled out after having 4 fouls in the first half. Bottom line without Billy its hard to get guys involved in scoring position. Billy did have to make an appearance once Jimmy fouled out since Taiwan Center had no one left on there bench and Taiwan Center actually made a run to come back. Billy I sure hope that ankle is healing up! We desperately need you out there! It wasnt pretty but a win was a win! Enough said. Taiwan Center advances on to the consolation championship game. Billy get heal that ankle! Day 3: Taiwan Center 57 vs. Sacramento Barons 56 (win) Consolation Champs! Another one of those grind out wins. J.R. and Matt Rosser led the way for Taiwan Center. Jarrod Carroll had some highlight plays. Jimmy Miyasaka played center for Taiwan Center and just did his part to keep the Barons bigs from scoring. It will be a healing process for Jimmy's right knee. Taiwan Center will regroup once Billy and Jimmy heals and will look to regain the championship for the 2012 Tigers Tournament. Menehune players, Jimmy Miyasaka, Billy Hofman, Matt Rosser, Nick Milan, Jarrod Carroll, and J.R. Buensuceso, play for Taiwan Center in the AA Division. Menehunes G.M. Jimmy Miyasaka works side by side with Taiwan Center G.M. Sean Yu in forming one of the top Asian Basketball Teams in the country for the Tigers Tournament. Taiwan Center are the defending champions for this prestigious tournament in Southern California. This years roster for Taiwan Center will have: Drew Bryant, Andrew Der, Larry Tieu, Ben Huag, and Mike Lai. The Menehune Players: Jimmy Miyasaka, Billy Hofman, Matt Rosser, Jarrod Carrol, and J.R. Buensuceso. Come out and support Taiwan Center and the Menehunes for this Memorial Day weekend Tigers Tournament. Park in the big parking structure and the gym is right next to it.